Yesterday the big announcement was made! The 2015 winner of the Kate Greenaway medal was William Grill for Shackleton’s Journey and this years Carnegie Medal went to Tanya Landman for Buffalo Soldier. Over the past weeks our steering group have enjoyed reading and discussing all of the books shortlisted for the awards; here they are enjoying words, illustration, tea and biscuits. To fill the gap in our reading lists, I thought it would be a great chance to delve into the Carnegie and Greenaway treasure chest to the show you some of the items in our collections that have won prizes in the past. Our book and archive collections at Seven Stories represent work by hundreds of authors and illustrators and among them are many Carnegie and Greenaway prize winners. This is a very small selection, if you’d like to see some more, or you have a Carnegie and Greenaway favourite that isn’t featured, let us know! The second ever Carnegie winner was Eve Garnett in 1937 with The Family from One End Street, which was quite ground-breaking for its portrayal of a working class family. It may not be considered anything revolutionary today but in 1937, children’s literature was dominated by middle-class children. We don’t hold any original material but we do have multiple editions in our book collections. In 1961 Antony Maitland won the Kate Greenaway prize for his portrayal of Mrs Cockle’s Cat. 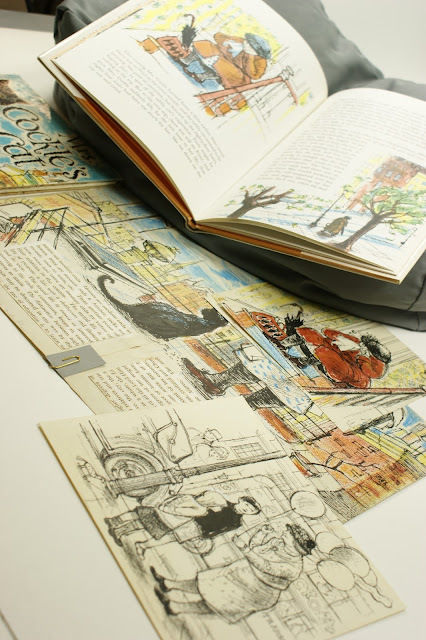 This image only demonstrates a small amount of material that we hold in our Antony Maitland Collection; we have the whole dummy book, original illustrations and a draft of the cover for Mrs Cockle’s Cat. We also hold artwork from his other books. Seven Stories Visitor centre is based in Ouseburn Valley in Newcastle and our Collections are held at our Gateshead office so, this next winner is close to home. Set in the fictional Garmouth, quite like our own Tynemouth, is Robert Westall’s 1975 Carnegie winner The Machine Gunners. Westall wrote his draft for The Machine Gunners by hand in notebooks. Six years later Robert won the Carnegie again for The Scarecrows. We hold a selection of original work within our Robert Westall collection which includes material from the majority of his published books. Alongside the archive we also have an extensive Westall book collection, which includes some interesting translations. Peter Dickinson also won the Carnegie prize two years running. Tulku won in 1979. Here is an early, incomplete typescript manuscript which is a possible first draft of Tulku. There is also preliminary material for City of Gold in our archive, which was Peter’s Dickinson’s second book to win the Carnegie in 1980. City of Gold was illustrated by Michael Forman whose work you can see in our upcoming exhibition. There are very few authors who have won the Carnegie prize more than once, Berlie Doherty is another. Her first prize was for Granny was a Buffer Girl in 1986 and the second for Dear Nobody in 1991. Berlie's books can be found in a number of our book collections and our archive collection includes material from her published books, story books and radio broadcasts. The original material for Granny was a Buffer Girl includes these drafts and photographs which we think were used for inspiration. Anthony Browne won the Kate Greenaway in 1992 with Zoo, at Seven Stories we hold one preliminary sketch from the book which shows the zoo visitors looking into the orang-utan’s cage. We also have a preliminary sketch from Gorilla which won Browne his first Kate Greenaway prize in 1983. A lot of Philip Pullman’s collection is digital but this is a typescript draft from the 1995 Carnegie winner His Dark Materials: Northern Lights. 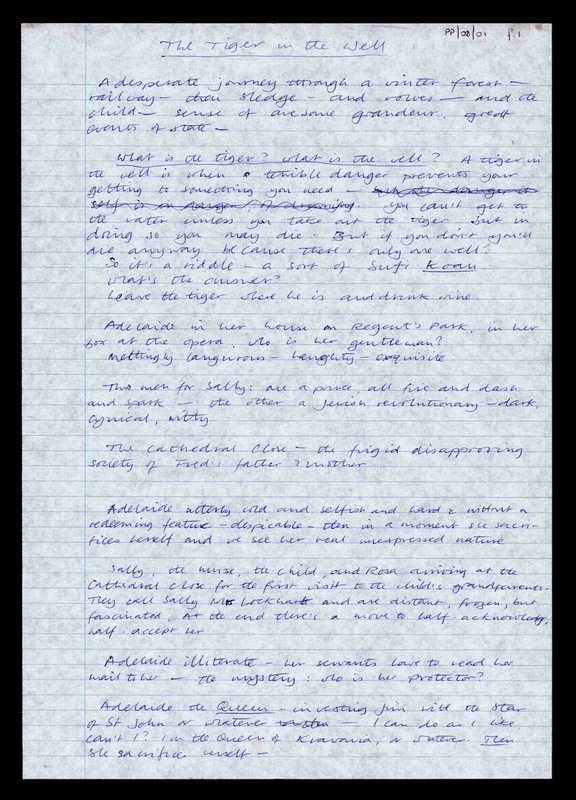 Some of my favourite items in our collections are Philip Pullman’s handwritten notes and drafts which show his doodling and thought process. Philip’s name is very popular, particularly within our ex-library book collections, it’s great to see how the artwork for ‘His Dark Materials’ developed over time into what is the very recognisable Philip Pullman cover. Emily Gravett’s Little Mouse’s Big Book of Fears won the Greenaway prize in 2008. In our collection we have some original artwork of mice, these drawings were used to create the final artwork digitally. The drawings were scanned and then digitally positioned into the relevant spreads like a collage. Come along to Seven Stories Visitor Centre after our grand reopening in August and you may be able to spot some of Emily’s mice in our Rhyme Around the World exhibition or...If you'd like to find out more about the Seven Stories Collection, then email: collections@sevenstories.org.uk or phone: 0191 495 2707 or comment on this blog. 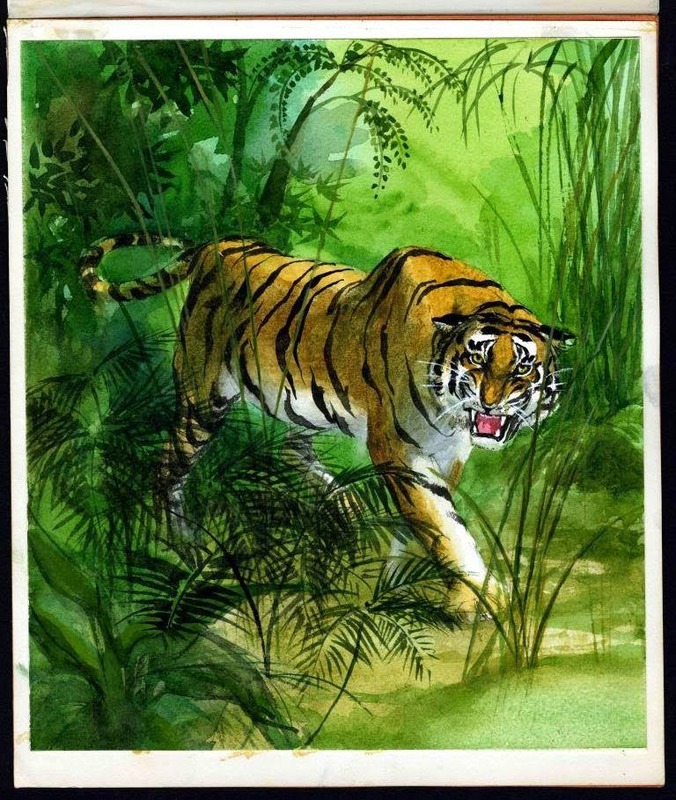 In celebration of our Tiger, Mog and Pink Rabbit: a Judith Kerr Retrospective exhibition opening at The Jewish Museum in London this month, we have a post looking at all the other terrifying tigers hiding in the Seven Stories Collection. 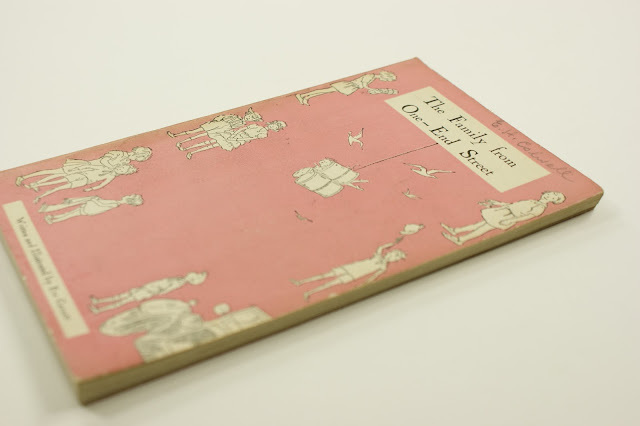 If you want to find out more about Judith Kerr, and her archive held by Seven Stories, click here. This arresting cover illustration was created by Pat Marriott for the Adventure series by the North American novelist Willard Price. Hilary Hinckley, Marriott's niece, donated the full suite of illustrations in 2011, following the illustrator's death in 2002. "At that time The London Zoo only opened on a Sunday morning to its 'members' and my brother and I used to accompany Pat. 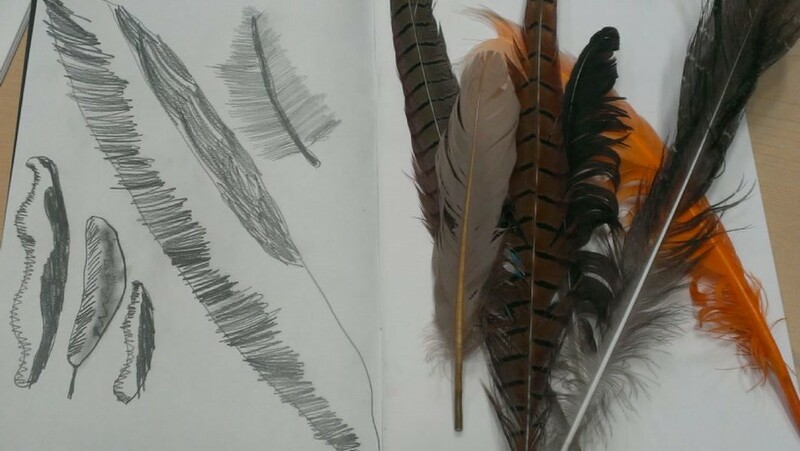 She studied and drew the animals, and developed a terrific facility to impart the essence of the creature through simple line drawings, the result of many hours of sketching." Tiger Adventure is part of the 14 part book series by Willard Price. It follows two brothers, Hal and Roger Hunt, as they travel around the world capturing animals to return to the US and their father's wildlife collections. It was based on Price's love of adventure, he even went on expeditions for the National Geographic Society and the American Museum of Natural History! The series has been picked up again in recent years by Puffin, with Anthony McGowan commissioned to produce 3 new titles. In the new books, instead of capturing the animals, the protagonists are conservationists. "[She] has an absolutely magical gift for presenting landscapes and characters just as they were in my mind. She can get wonderful sympathy and terrific action and pace into her drawings of people... I can hardly envision them other than as Pat draws them." What is the tiger? What is the well? A tiger in the well is when a terrible danger prevents your getting to something you need - you can't get to the water unless you take out the tiger but in doing so you may die. But if you don't you'll die anyway because there's only one well. So it's a riddle - a sort of Sufi koan. Leave the tiger where he is and drink wine. Pullman's archive was donated in 2002 and contains a collection of drafts, draft material and notes relating to fourteen of Philip Pullman's published titles for children. There are notes and drafts for all other three books in the Sally Lockhart Quartet - The Ruby in the Smoke, The Shadow in the North, and The Tin Princess; and typescript drafts for the first two books in the His Dark Materials trilogy. Pullman also donated material relating to several school plays he wrote when working as an English teacher in Oxford, four of which went on to be developed into full-length novels. Finally, this month’s feature book is Dinner time, illustrated by Jan Pienkowski and published by Walker Books in 2007. The humorously dark text was written by Anne Carter, and the pop-ups were engineered by Marcin Stajewski and James Roger Diaz. This book was originally published in 1981 and the fact that it has been reprinted and published in different editions and formats several times since then is testament to its enduring popularity. 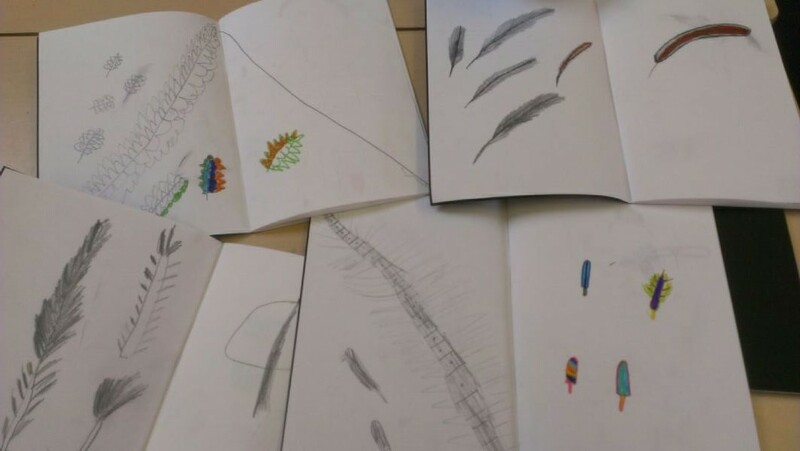 Dinner Time tells the story of six animals, a Tiger, a Gorilla, a Frog, a Crocodile, a Shark and a Vulture, who pop out at the reader and teach us about the food chain. Can you work out which order they might eat each other! Jan Pienkowski has won the prestigious Kate Greenaway medal twice and illustrated and written hundreds of books. In 2009 Jan kindly donated this copy of Dinner Time to Seven Stories Collection along with 80 other books he has illustrated. His collection includes many more pop-ups (some with sound effects), board books, sticker books, large format and mini editions, Touch & Feel, and Flap books, as well as many of the highly popular Meg and Mog books which he created along with author Helen Nicoll.